New analysis shows Pentagon pharmaceutical spending on EpiPens jumped over 1,000 percent in eight years to meet the skyrocketing costs of the controversial auto-injection allergy shot, manufactured by Mylan. Pentagon spending on prescriptions rose to $57 million over the past year from $9 million in 2008, a growth of over 15 percent, according to data analyzed by Reuters. 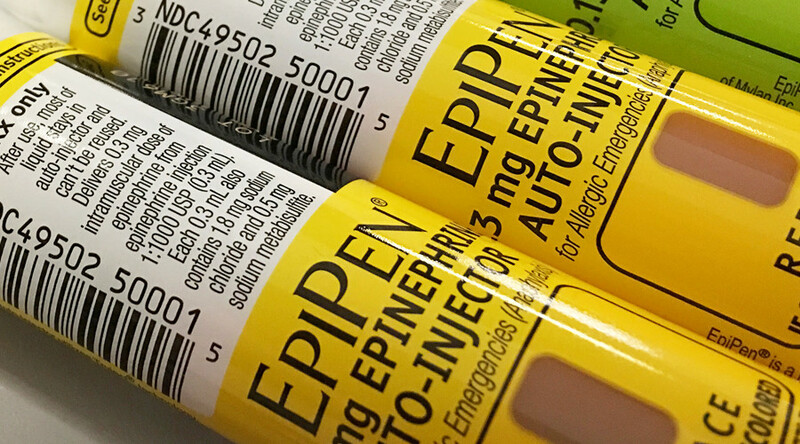 The data showed that despite the agency receiving a government discount for EpiPen dispensed through treatment facilities and by money order, it was still paying three times the price for EpiPen at retail pharmacies, paying $509 for EpiPen and $28 for EpiPen Jr two-packs. The costs represent a small portion of the Pentagon’s $49 billion budget on annual healthcare but it may lead to further inquiries by Congress, especially as military agencies are supposed to receive the low drug prices mandated by law. The West Virginia-based Mylan and the Pentagon are said to be in discussions about reducing costs at retail pharmacies. This is not the first time Mylan’s EpiPen has caused controversy. The company bought the rights to the patent injection in 2007, and raised the price from $100 to $600 earlier this year, causing a public outcry. Part of the problem was the limited alternatives in the market after its competitors recalled their products over issues with dosages and devices. The company was also able to push through national legislation in 2013, known as the ‘EpiPen Law,’ that encouraged the use of the auto-injectors in schools, leaving taxpayers to foot the bill. To sweeten the deal, the company gave 700,000 EpiPens to schools for free. The price hike prompted Congress in August to ask for an explanation, and Democratic presidential nominee Hillary Clinton also denounced the company, calling the price hike “outrageous,” despite the Mylan’s ties to the Clinton Foundation. To quell the public outrage, the drug manufacturer issued a marketing stunt with savings cards that would cover half the cost of the EpiPen for $300. The company then announced at the end of August it would begin selling a generic version at $300 for a two-pack carton, representing a discount of more than 50 percent.